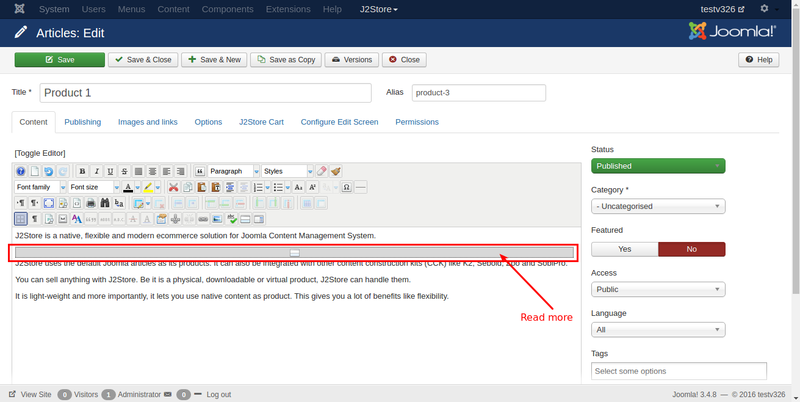 By default the joomla article considers the text as short description. When you use page break or read more, you will see red or grey line in article. Under that whatever text has entered that considered as Long Description. J2Store takes the introtext column as the short description and fulltext column as the long description. The Article manager divides the text (content) into two and saves it based on the readmore break. 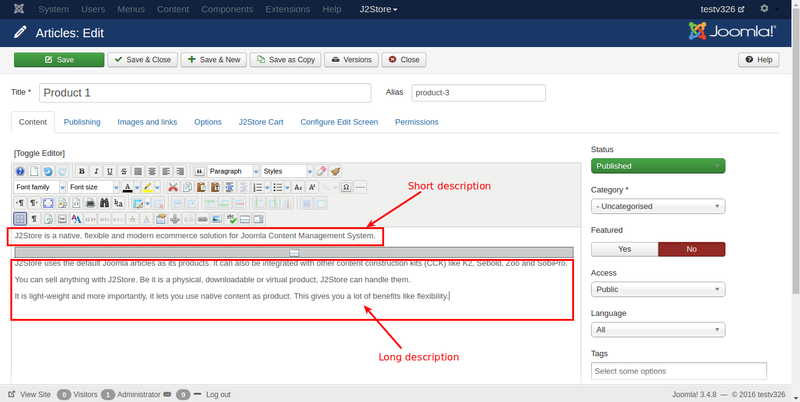 In J2store, you can enable and disable the display of short description and long description in both category view and product view. Sometimes "short description" is enabled in the setting with "long description" disabled but the list layout shows both text plus read-more text. The above issue seems to be occuring while triggering the content plugins. The read more break works fine.